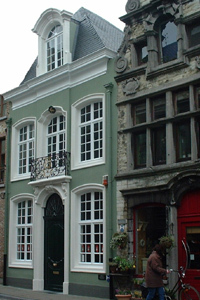 The premises are situated in one of the medieval main streets of Mechelen, close to the old city center. The foundations refer to a first building around 1350. The current interior dates from between 1480 and 1581. In 1772, the rocaille front replaced a wooden one. 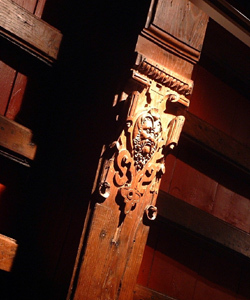 On the inside, original elements from the sixteenth century can still be found. 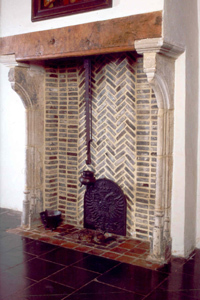 The gothic fireplace, as well as a beautiful ceiling with unique sculptures in the renaissance room are some examples. During the whole of the sixteenth century, 't Vliegend Peert has been occupied by artists. At that time, the neighbourhood really was a center of arts. One of the most important inhabitants is Mayken Verhulst (around 1518-1599). She would marry the painter Pieter Coecke van Aelst, and become Pieter Bruegel the Elder's mentor and mother in law. She would also raise both his famous sons Jan Brueghel and Pieter Brueghel the Younger. In the history of art, she is known as one of the most important female artists of the sixteenth century. Recent scientific research brought evidence of her influence on life and work of Pieter Bruegel. 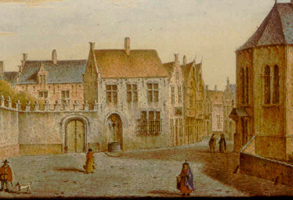 The Vliegend Peert and the Sint-Katelijnestreet are situated in the heart of Mechelen, near the tower of Sint-Rombouts.